Research on multilingual writers in first-year composition classes in U. S. universities seems to overlook the issue of professional preparation of mainstream composition instructors who work with multilingual writers. Composition courses are commonly taught by teachers with no formal training in L2 writing pedagogy. Therefore, a better understanding of their professional preparation and needs will help composition programs develop adequate training and prepare instructors who are able to address linguistic and cultural needs of multilingual writers. In this study, a perception survey was completed by 34 instructors of mainstream first-year composition at a large research U.S. university. The participants had no formal training in L2 writing pedagogy. Responses reveal that most instructors acknowledged their lack of education and professional experience and generally felt ill equipped to work with multilingual writers. Conclusions discuss the need to strengthen professional development of mainstream composition instructors. Braine, G. (1996). ESL students in first-year writing courses: ESL versus mainstream classes. Journal of Second Language Writing, 5, 91–107. Canagarajah, A. S. (2006). The place of world Englishes in composition: Pluralization continued. College Composition and Communication, 57(4), 586-619. Crusan, D. (2006). The politics of implementing online directed self-placement for second-language writers. In P.K. Matsuda, C. Ortmeier-Hooper, & X. You (Eds. ), The Politics of Second Language Writing: In Search of the Promised Land (pp. 205-221). W. Lafayette, IN: Parlor Press. Dadak, A. M. (2006). No ESL allowed: A case exploring university and college writing program practices. In P.K. Matsuda, C. Ortmeier-Hooper, & X. You (Eds. ), The Politics of Second Language Writing: In Search of the Promised Land (pp. 94-108). W. Lafayette, IN: Parlor Press. Ferris, D., Brown, J., Liu, H., & Stine, M. E. A. (2011). Responding to L2 students in college writing classes: Teacher perspectives. 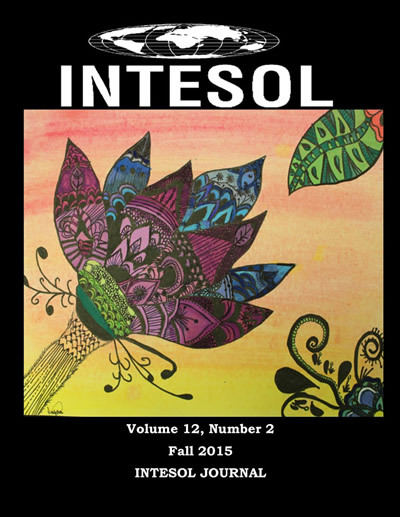 TESOL Quarterly, 45(2), 207–234. Horner, B. (2006). Introduction: Cross-language relations in composition. College English, 68(6), 569-574. Kubota, R. & Abels, K. (2006). Improving institutional ESL/EAP support for international students: Seeking the Promised Land. In P.K. Matsuda, C. Ortmeier-Hooper, & X. You (Eds. ), The Politics of Second Language Writing: In Search of the Promised Land (pp. 75-93). W. Lafayette, IN: Parlor Press. Leki, I. (1998). Academic writing: Exploring processes and strategies, Second edition. New York, NY: Cambridge University Press. Leki, I. (2007). Undergraduates in a second language: Challenges and complexities of academic literacy development. New York: Lawrence. Matsuda, P., & Silva, T. (1999). Cross-cultural composition: Mediated integration of U.S. and international students. Composition Studies, 29(1), 15-30. Matsuda, P., Saenkhum, T., & Accardi, S. (2013). Writing teachers’ perceptions of the presence and needs of second language writers: An institutional case study. Journal of Second Language Writing, 22, 68-86. Ortmeier-Hooper, C. (2008). English may be my second language, but I’m not ESL. College Composition and Communication, 53(3), 389-419. Preto-Bay, A. M. & Hansen, K. (2006). Preparing for the tipping point: Designing writing programs to meet the needs of the changing population. Writing Program Administration, 30(1-2), 37-57. Sadler, W. (2004). A case study examination of ESL students in freshman English composition (Unpublished dissertation), University of Arizona, Tucson, AZ. Shuck, G. (2006). Combating Monolingualism: A Novice Administrator’s Challenge. WPA Writing Program Administration, 30(1-2), 59-82. Silva, T. (1994). An examination of writing program administrators’ options for the placement of ESL students in first year writing classes. WAP Writing Program Administration, 18(1-2), 37-43. Stuart, D. (2012). Succeeding through uncertainty: Three L2 students in a first-year composition class (Unpublished dissertation). University of Washington, Seattle, WA. Williams, J. (1995). ESL composition program administration in the United States. Journal of Second Language Writing, 4(2), 157-179. Williams. J. (2004). The writing center and second language writers. Journal of Second Language Writing, 13(3), 165-172.